look 10 years younger, instantly! BOTOX® Cosmetic (onabotulinumtoxinA) is a prescription medicine that is injected into muscles and used to temporarily improve the look of moderate to severe frown lines between the eyebrows (glabellar lines) in people 18 to 65 years of age. BOTOX® Cosmetic is administered as a simple, nonsurgical treatment. Individual results may vary. We have all hear of Botox®, but how does it work? Botox® is injected into the facial muscles and blocks nerve impulses that cause wrinkle forming contractions. As you know, nothing in life is one-size-fits-all. It is important that your injection be placed in the correct area, while avoiding risky spots. Your Botox® plan can vary based on your gender, muscle mass, ethnicity and skin thickness, as well as your individual goals. Our service providers are trained to develop a treatment plan just for you and work with you to achieve the results you want. Skin care should start before signs of damage are evident. In Texas we are exposed to the sun year-round. Attention to your skin now can prevent years of aging later. A good routine of exfoliation, sunscreen and regular Botox can keep you looking younger longer. Even if wrinkles have set in, BOTOX® can improve your appearance and prevent the development of more. How can I avoid bruising from BOTOX®? Within days you may see a marked improvement in the moderate-to-severe frown lines between your brows. Lines that were treated continue to improve for up to 30 days. Individual results may vary. Visible results have been shown to last from 3-4 months. Your own results may vary – be sure to talk to Dr. Kirby about what you can expect and when to schedule your next appointment. Although the results are visible, a treatment with BOTOX®Cosmetic will not radically change your facial appearance or make you look as if you’ve “had work done.” The muscle activity that causes frown lines between the brows is temporarily reduced, so you can still frown or look surprised without the wrinkles and creases between your brows. First, add the total number units you might need. For example, to treat forehead lines, you will need 6-15 units. Second, multiply the number of units by the cost per unit. For example, 10 units x $14 per unit = $140. Call us at 916-664-1234 or use our contact form to find out the current cost per unit learn about our current running promotions. 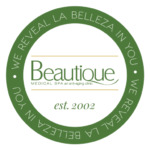 Why choose Beautique Medical Spa for Botox Cosmetic? For natural-looking, predictable results and safe treatment with any injectable, a provider must have specific training, a thorough knowledge of facial anatomy and a keen eye for aesthetic balance. All of our doctors and service providers bring years of surgical training and experience helping patients restore or improve their facial appearance through non-surgical facial rejuvenation treatments. As one of the first providers in the Rio Grande Valley, we are one of the oldest and most experienced Medical Spas offering Botox Cosmetic and Juvederm Dermal Filler. How can I find out more about Botox Cosmetic? If you are interested in learning more about Botox Cosmetic, please give our office a call. Our staff will be happy to schedule a personal consultation with one of our service providers to discuss your options.